Interested in a squirrel diaper? To many people, that question is a strange one. For those of us who are owned by squirrels, the question begs an answer capable of ending our agony and shame. I have something that will help! All I need is a few measurements. Trying to learn how to adjust your new squirrel diaper? 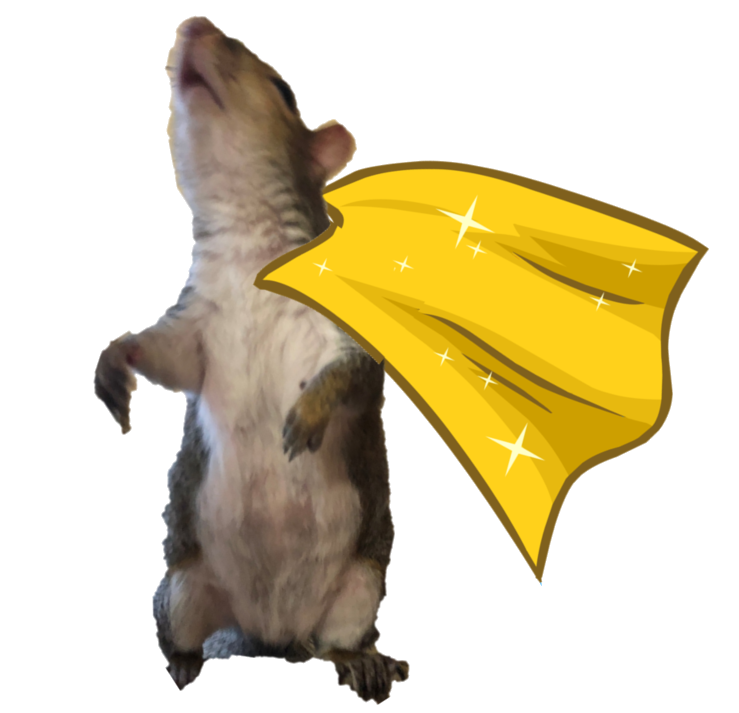 Scroll down and look for the video with Rue in a cape! If you are interested in sewing your own squirrel diaper, click here for my pattern. If not, I can sew a custom diaper for you for 28.00. Email me if you are interested. Click here to purchase one Amazon for 29.00 I will need a few quick measurements from you; when you are ready, just send me an email. I'll give you my information so you can paypal, Zelle or Venmo. 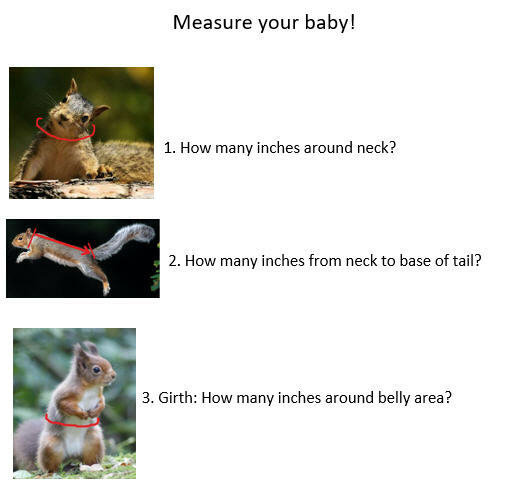 My best advice is to use heavy gloves when you measure or put the diaper on your squirrel. And always limit the amount of time you leave it on your squirrel to prevent bare spots caused by friction. If you used my pattern and are grateful for the help, please consider making a small donation to Lifeline Animal Project. Click here for my gofundme page. She works to help other solve problems rather than resorting to violence. Rue is a big fan of others squirrels online! Rue works with her mom, and she learns all kinds of new things. "I cannot seem to stop watching SuperSquirrelGirl Rue. Seriously, I'm getting nothing done at work. Her life is mesmerizing."